You just landed a fat job with an interior design firm. It's got great pay. High-profile work. Contacts with some of the top designers in the world. It'll launch your career into the stratosphere. And you owe it to an interior design resume that stood out like a living space by Kelly Wearstler. How can you make this dream come true? Start by showing that fabulous company you're indispensable. An interior design resume example better than 9 out of 10 other resumes. How to write a resume for interior designers that will land more interviews. Tips and examples of how to put skills and achievements on an interior designer resume. How to describe your experience on a resume for interior design to get any job you want. Here's a sample resume for an interior designer made using our resume builder. Interior Design Resume Example - See 20+ resume templates and create your resume here. What's the Best Resume Format for Interior Design? Interior design is all about aesthetics. Is it a shock then that your interior design resume must have good design? That doesn't mean using flashy fonts or printing it on geometric-patterned paper. It means making it clean and clear, so your best achievements pop like champagne corks. To do that, use the reverse-chronological format. It shows your most recent experience first. 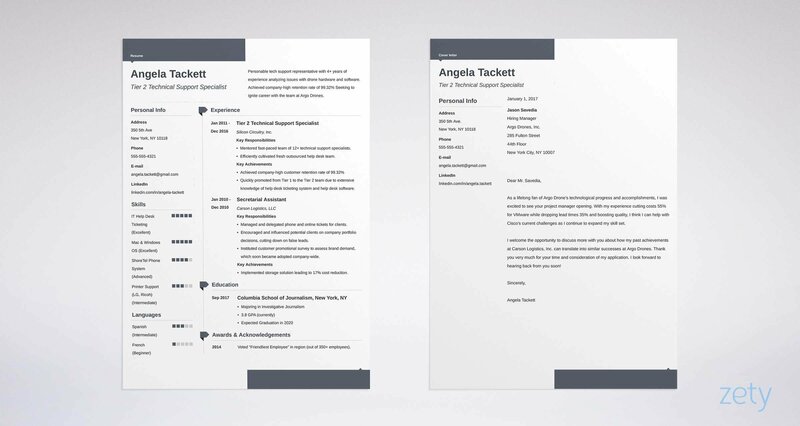 Employ professional resume fonts like Arial and Cambria. Use big headings and negative space to backlight your best features. As a finishing touch, save your interior design resume as a PDF. MS Word file resumes can turn to kitsch in transit. Pro Tip: Double check the job offer to make sure it doesn't reject interior designer resume PDFs. Some do. Need other ideas to elevate your resume? Check out the template for an interior designer resume up top. Then, see this guide: "3 Resume Formats: How to Choose the Best One [Examples]"
The hiring manager at that top design firm? We'll call her Kate. She's got a stack of interior design resumes up to the crown molding. How do you get her to read yours carefully? With a resume objective or a resume summary. A resume summary proves you're capable of Kelly-Hoppen-level feats by showing your experience. A resume objective shows passion instead. Use it if your work history is like a freshly demoed living room. Let's start with resume summaries. Look at these two senior interior design resume samples. One of these senior interior designer resume examples works. The other, not so much. Enthusiastic interior designer with 10+ years experience, seeking new position. Highly skilled in AutoCAD and interior design, plus listening and communication. CIDQ certified. That's not horrible, but can you imagine hiring "not horrible" to design your kitchen space? Award-winning, CIDQ certified interior designer with 10+ years of experience creating crisp interiors for residential and commercial use. Seeking position as lead designer for Diversi-Whitmore. Have created 100+ compelling interiors and won the coveted re-compete for the Radisson Hotels project for Renée Doherty Designs. Excellent listener and communicator, skilled in AutoCAD and the Adobe Suite. Pow. As eye-catching as a den designed by Peter Marino or Philippe Starck. If you don't have that much experience, don't worry. Just look at the two entry-level interior designer resume objective examples below. The first of these two interior design assistant resume examples doesn't please the eye. Brand new interior design job candidate. No experience designing professionally yet but my professors said I'm very talented. Ew. Like Otho in Beetlejuice. It's not exactly wrong, because it shows the passion needed in an interior designer resume for freshers. Interior designer with 2 years of freelancing experience. Created 10 compelling interiors for commercial and residential projects. Completed all projects according to specified time and budget. Winner of the ASID Student Portfolio Award for 2016. Wow. That job candidate is ready to design for Apple or Google. Yet it wasn't hard to build that much experience. She cited school projects and jobs for neighbors and friends, plus volunteer work. That all counts as job experience on an interior designer resume. She also gave a plug to an award she won. If she had publications in design blogs or magazines she could add those too. Pro Tip: Need more detail on how to get experience on an entry-level resume for interior design? You'll strike gold in the next section. Want to write the best interior design resume summary or resume objective you can? See these guides: "How To Write A Resume Summary: 21 Best Examples You Will See" and "+20 Resume Objective Examples - Use Them on Your Resume (Tips)"
You didn't get that fantastic interior design job with the Gensler-type company and the Rockwell-Group pay. The worst part? The job went to someone with less experience than you. She just showed it better on her interior designer resume. Your interior designer resume needs to wow like a SoHo apartment by Victoria Hagan. Add bullet points to each job that fit the job description like tongue in groove. The creative interior design resume examples below will show you how. These two senior interior designer resume job description samples show the right and wrong way to list experience. Delivered inspired, efficient interior designs for commercial and residential markets. Exceeded specs for hundreds of satisfied clients. Scored the re-compete contract for Radisson Hotels. Eleven of my projects written up favorably in Dezeen Magazine. Created high-quality designs efficiently in a fast-paced environment. Now there's a well-appointed experience section. The hiring manager just gripped the corners of her escritoire. Delivered multiple interior designs for both commercial and residential markets. Worked in a fast-paced environment. Yeesh, right? Who put shag carpets on the walls? As with interior design, resume magic happens in the details. But what if you're just starting out and you don't have details? These two entry-level interior designer resume examples will help. There are two ways to write an entry-level interior design resume. The first is to say you've got no experience. The second is to do some small, free (or cheap) jobs, and list them on your resume. Then, make them stand out like a set design from Mad Men. 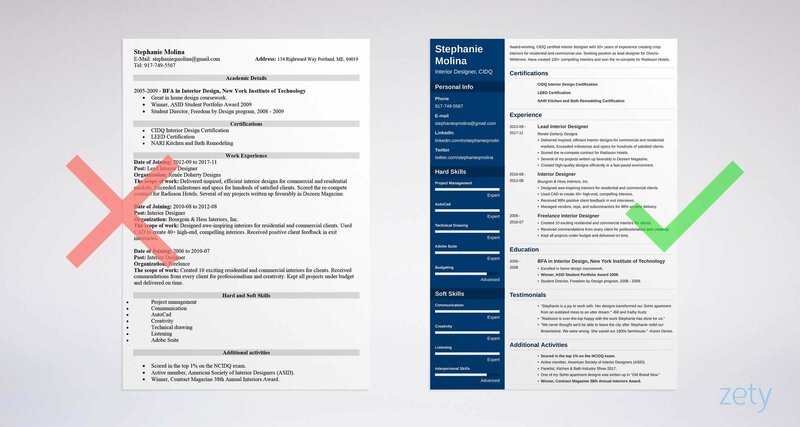 Learn how from these two interior design student resume examples. What's the problem with this first sample interior designer resume? Student Interior Design Experience: None yet, but I'm very enthusiastic and creative. That's as generic as a Motel 6 room. Everyone will say they're enthusiastic and creative. Created 10 exciting residential and commercial interiors for clients. Received commendations from every client for professionalism and creativity. Kept all projects under budget and on time. Suddenly you've got a nice patina on your student interior designer resume. And all it took was a few days of pro bono work. You can do a CAD project for a friend in a few hours. Or take on larger volunteer jobs for nonprofits, or cheap work for local residents or businesses. You can even put your own home in your interior design portfolio. Pro Tip: Writing an interior design intern resume? Freelance work and education accomplishments are your best friend. Even a compliment from a professor looks good on an intern resume. Don't bore the manager with cookie cutter language in your interior designer resume. Keep her on the edge of her seat with action words. See our guide: "+80 Examples of Resume Action Words for Every Profession." Without a certification, an interior designer is just a decorator in most states. You worked hard for that title, so make sure they see it on your interior design resume. Also, add it to the beginning of your resume summary. Then, so it really pops, put it in a special certifications section. Now your certifications are striking and neat, and can't be overlooked. CIDQ – The big one. From the Council for Interior Design Qualification. Requires two years of on-the-job training. CCIDC – California Council for Interior Design Certification. LEED – Certification for Leadership in Energy and Environmental Design. Pro Tip: Don't have a certification yet? Consider getting one. Most require two years of related experience. If you don't have it, seek an interior design apprenticeship or internship. A bachelor's degree is all the education needed to be an interior designer. But if you only list it, it's like leaving a big foyer with bare walls and no furniture. But then add bullet points that fit the job description. Look at the interior designer resume examples below. Here are two creative interior design resume examples. They're for a job description that wants 1. home design, 2. leadership experience, and 3. proven talent. Excelled in (1) home design coursework. Winner, (3) ASID Student Portfolio Award 2009. (2) Student Director, Freedom by Design program, 2008 - 2009.
Who's that, Marmol Radziner before he got his first job? It fits the job offer like you mortised it. Now look what happens when we remodel it without details. Completed core interior design coursework. OK, so it's not all mirrored furniture and wolf skins. That said, our first interior design resume example beats it by a mile of advancing colors. But add the details, and you're back in the Stantec/Callison zone. Pro Tip: Education accomplishments don't have to come from coursework. Even an article in the school paper can invigorate an interior design internship resume. Make your interior design resume education section glow like bollard lights. See our guide: "How to Put Your Education on a Resume [Tips & Examples]"
Here's the hiring manager's office. In it, amid crisp, tailored office furniture, the manager sits reading a stack of interior design resumes. Why does she keep sighing? Because they all list the same design skills. Like a broken record or a string of prefab kitchens. Then she gets to your designer resume. The job description calls for skills in residential and commercial design. It also wants AutoCAD skills, and vendor management. So, you put those in your interior designer resume. Plus, you don't bury them in a million unrelated skills. Designed awe-inspiring interiors for residential and commercial clients. Used AutoCAD to create 40+ high-end, compelling interiors. Received 99% positive client feedback in exit interviews. Managed vendors, reps, and subcontractors for 98% on-time delivery. Wow! Your skills tie into your experience like a rabbet joint. Need an interior design resume skills list to get started? Use the one below. Let's get you underway with a list of interior designing skills you can use. Add to it by looking at interior designer job descriptions online. Take the steps above, and your interior designer resume will make you look like Marcel Wanders or Jean-Louis Deniot. Pro Tip: Avoid making a massive word art project out of your skills list. Only list the ones shown in the job description, plus a few more for effect. Need to reimagine your interior designer skills section? See our guide: "+30 Best Examples of What Skills to Put on a Resume (Proven Tips)"
Let's get back to our design firm hiring manager, Kate. She's dredged through 200+ interior designer resumes today. Her eye bags have eye bags. All the resumes show some experience. They all list at least a bachelor's degree. Not all of them show passion. That's where you can stand out. Add special "other" sections to make your resume get oohs and ahs like an investment piece. List conferences, awards, customer kudos, and professional association memberships. You can also throw in volunteer work and publications. This first professional interior design resume sample clashes horribly. I adore French foreign film. I'm concerned about the environment. That's the resume equivalent of hound's tooth and doilies. Yes, they're interests, but they don't show a passion for design. "Radisson is over-the-top happy with the work Stephanie has done for us." Scored in the top 1% on the NCIDQ exam. Active member, American Society of Interior Designers (ASID). Panelist, Kitchen & Bath Industry Show 2017. One of my SoHo apartment designs was written up in "Old Brand New." Winner, Contract Magazine 38th Annual Interiors Award. Wow. Timeless. You've just given your resume an Extreme Home Makeover. Testimonials complement a resume for an interior designer. However, since most experts say to leave them off, think hard before you add them. The test score, professional membership, and other details show you've got the qualifications needed to be an interior designer at a high-end firm. Pro Tip: Consider joining the ASID, IIDA, or IDS. They look great on an interior designer resume. The networking opportunities can refresh your career too. Need more tips for "other" sections in a creative interior design resume? See this guide: "+20 Best Examples of Hobbies & Interests To Put on a Resume (5 Tips)"
"Nobody reads interior design cover letters." That's only true if they're generic. Make yours sit up and get attention. Make it passionate and personal. Use the hiring manager's name. Share a fact that's guaranteed to wow the manager like David Collins. To do that, read the job description and research the company. Last, close it with a call to action. I was thrilled to win Contract Magazine's 38th Annual Interiors Award. I've followed your write-ups for years in "Apartment 34," "Wit + Delight," and other publications. In fact, some of your ideas have helped me develop my own style, which served me greatly during the award selection process. I think my 100+ compelling interiors designed for Renée Doherty Designs and other clients also owe a debt to your theories. Likewise my commitment to delivering on time and under budget. The opportunity to work closely with you to wow your clients would be a dream job. Can we schedule a call to discuss creating future award-winning designs for Diversi-Whitmore? With that interior design covering letter, you could get a job creating the interiors for Karl Lagerfeld's apartment. Don't have that much history? Are you writing a cover letter for an entry-level interior designer? See if the hiring manager has published articles you can learn from. If she's got a podcast, listen to it. Then, cite it in your cover letter. Pro Tip: After you deliver your interior designer resume and cover letter, follow up. A follow-up email in three days gives your application a second chance to get the interview. Want more specific help to write a textured cover letter for your interior design resume? Check out our guide: "How To Write A Cover Letter [Complete Guide With Examples]"
They bungle their contact info. But for an interior designer, an online portfolio is almost as important as the resume itself. You should at least have a LinkedIn portfolio. 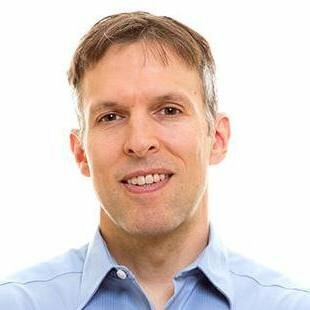 A personal website is even better. Need ideas? Search Pinterest for "Interior Design Portfolios." You'll get hundreds of beautiful results. Pro Tip: Your Facebook profile doesn't belong on a resume for interior design. Clean it up anyway, since some employers seek it out. See our guide to cleaning up your online presence for some valuable tips. Want to explore more ideas to make a creative interior design resume that doesn't skimp? See our guide: "How to Make a Resume: A Step-by-Step Guide (+30 Examples)"
Tailor every resume you send to match the job description. Don't just list experience and education. Add details to make your interior design resume stand out like a 50/150 paint job. Highlight your CIDQ or other key certification. Put it by your name, in your resume summary, and in a special section on your interior designer resume. Add other sections that list conferences, memberships, and publications. Those things show your passion for interior design. Do you have questions on how to write a great resume for an interior designer? Not sure how to describe your skills or achievements? Give us a shout in the comments! We love to help! A step-by-step guide to writing an architecture resume. 20+ actionable examples and tips from experts. Use our sample resume for architects.